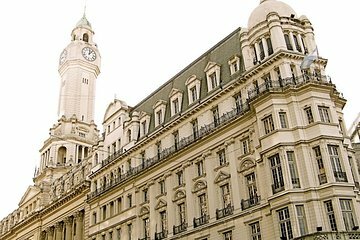 Get personalized attention and enjoy a flexible itinerary on this 4-hour private Buenos Aires city tour. Select your departure time and preferred stops, then opt to upgrade with lunch in the chic neighborhood of Puerto Madero. When booking, choose your preferred departure time; your guide will meet you and your private party at your hotel or other pickup location of your choosing. With your dedicated guide, set off to discover the highlights of the city while enjoying personalized attention and a flexible schedule. Sites visited may include Palermo Park, Recoleta Cemetery, and Caminito Street in La Boca. Visit the Obelisco and Teat ro Colón, as well as 9 de Julio Avenue, the widest in the world. Learn about the history of the Cathedral of Buenos Aires, the Casa Rosada, and the Plaza de Mayo. Opt to end your tour with an upgrade to lunch in the chic, modern neighborhood of Puerto Madero. There was a mix up between contractor and subcontractor. They sent a car that barely held our luggage. They said that in spite of our e-mails they did not know about the luggage. They charged us an extra US 125 for drop off at the airport. The trip did not fill the promised 5 hours duration. It lasted a little over four hours rushing through many sites, which includes the 50 minute trip to the airport, The guide was knowledgeable trying to make up for the screw ups. This tour was fascinating! The guide was so very knowledgeable and personable! It was lovely!